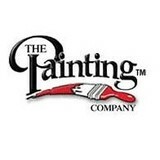 We are a family owned and operated painting company servicing all of San Diego County. From residential to commercial projects, our team is committed to providing timely, professional and dependable interior and exterior painting services. Peeling paint got you down? Whatever your painting or minor repair needs, we’re dedicated to getting the job done right. Brad Stoner Painting offers a full line of house painting services – complete with quality, value and expertise you can trust. We use only the finest paints and materials to complete our projects and offer you the best all-around service possible. 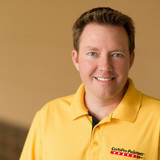 Created by Brad Stoner, a hardworking entrepreneur from Oklahoma, we've been in business for over 27 years now. Today, we're proud to own a fleet of vans as well as employ 25 full-time painters. Whatever your project, we strive to be courteous and timely. It’s this unique dedication to customer satisfaction that protects our A+ rating with the Better Business Bureau and brings homeowners back time and time again. Chism Brothers has been painting homes for 3 generations in San Diego. The daily operations are still run by the Chism clan. Our mission is really quite simple: to provide a one of a kind experience, simply by doing the right thing. Our father was a real craftsman who completed a lot of painting projects in and around Banker's Hill, Mission Hills, La Jolla and Downtown San Diego. A job completed by Dad (Milt Chism) was always completed with the finest attention to detail. He trained my brother and I in not just doing a very high class painting job but going the extra mile and having good character too. In 2006, I lost my dear brother, Patrick Chism to cancer. This was a real shock to all of us at Chism Brothers. He was still quite young (53) and very active in painting homes up until the time he was diagnosed with terminal cancer. We miss him dearly. Yet some of the men he trained to be craftsmen are still with us and carry on his attention to detail and customer service. Now as we are in the 21st century, my family continues to hire, train and carefully supervise all of our wonderful staff of painters and managers. I could not be more pleased with my team today! I know there are hundreds of painters throughout our fine city and many good ones too. If you so happen upon our company, we'd be very pleased to add you as, what I would hope to be, a lifelong customer! Thanks for taking a look at our profile on Houzz. By the way, we specialize in residential interiors and exteriors, cabinet painting, entry door refinishing, light commercial office space, small projects, faux painting and more. Surround Yourself in Beauty. With twenty years of experience in the decorative painting and cabinetry finishes field, Marcelino Custom Finishes, Inc. is one of San Diego region premiere companies for Artistic Finishes, Custom Painting and Cabinetry Finishes. We are a established firm with a A+ rating at the BBB San Diego that employs talented individuals. We are privileged to work with some top notch design firms, among other professionals, and home owners who appreciate quality work. We deliver value through beauty.